ADL Process offers product destruction services to businesses in Ontario. We help our clients eliminate the risks and liabilities associated with the unauthorized reappearance of branded products in the marketplace (defective and returned products, recalls, overstock…). 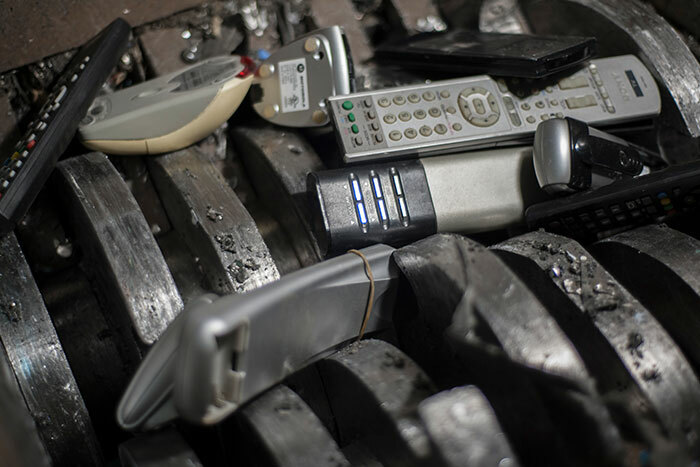 ADL Process offers off-site destruction of products – sent to our secure facilities to be physically destroyed. ADL Process helps organizations avoid liability and reputational risks linked to the uncontrolled reintroduction of products that have been removed from the market. 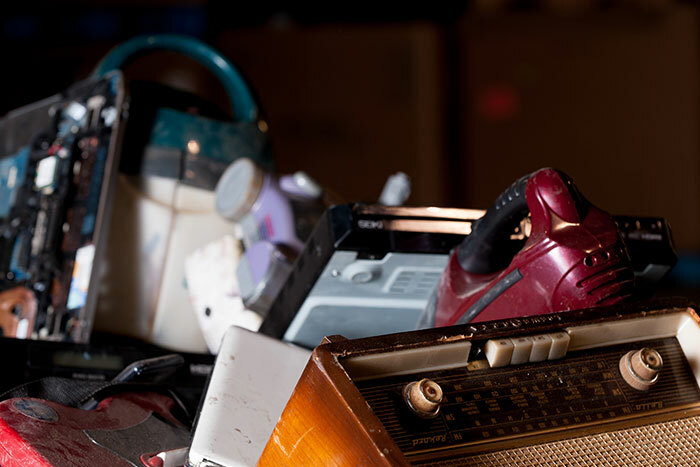 We perform secured, controlled physical destruction of our clients’ electronic products: electronic toys, headphones, small kitchen appliances, microwaves… Products entrusted to us are destroyed beyond recognition and are no longer usable. The destroyed parts are sent for recycling/final disposal. Serving Ontario since 2001, we are product destruction experts located in the heart of Toronto. 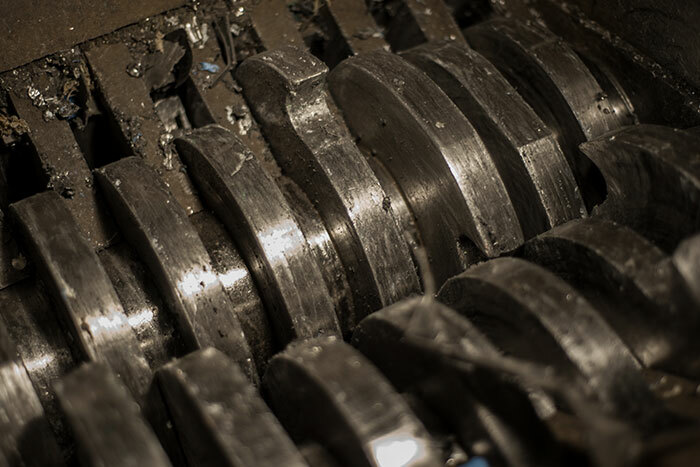 Products are sent to our secured facilities to be physically destroyed in our shredders. The shredded remains, having been rendered unusable, are sorted and recycled responsibly (see how the shredder works in the above video). 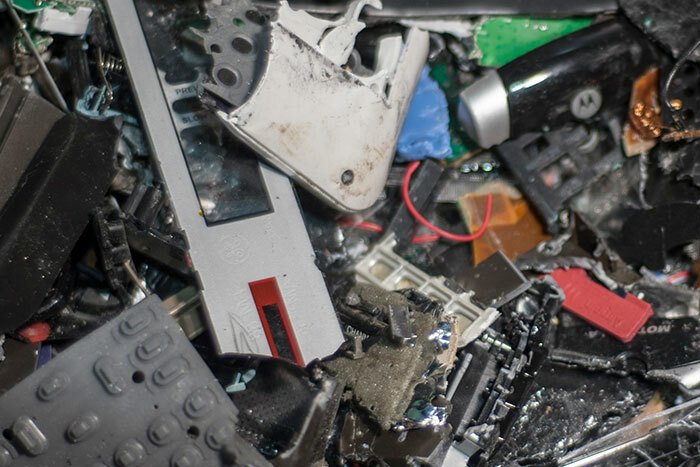 For clients who require complete physical obliteration of devices, we send the shredded remains to a secure facility for incineration. Clients can also request to witness the physical destruction of their products. From the moment ADL Process receives your products, we maintain chain-of-custody. We track the products as they progress throughout the destruction and recycling process. We take responsibility for all recovered materials that are being sent out to downstream recyclers, who must conform to the same legal obligations as ADL Process. ADL Process is committed to provide customized services to help organizations meet their internal policies to dispose of products. We provide a certificate of destruction for your records. ADL Process is fully compliant with the standards and best practices set by environmental regulations and labor laws. The backbone of our company, our team of full-time expert staff are continuously trained on security protocols, environmental regulations, and health & safety protocols. The results are efficient service, high quality work, and a low rate of accidents/injuries. Our product destruction team is thoroughly screened (criminal background check), and receives specialized training. By working with us, your organization makes a positive impact on the environment and in helping conserve our planet’s resources. Recycling responsibly helps prevent the inappropriate discarding of hazardous substances and contributes to the recovery of materials that would have gone to waste. Contact us for more information and stay up-to-date with ADL Process. The CEO is satisfied that Company Y will not be subject to liability and reputational risk from those defective products.